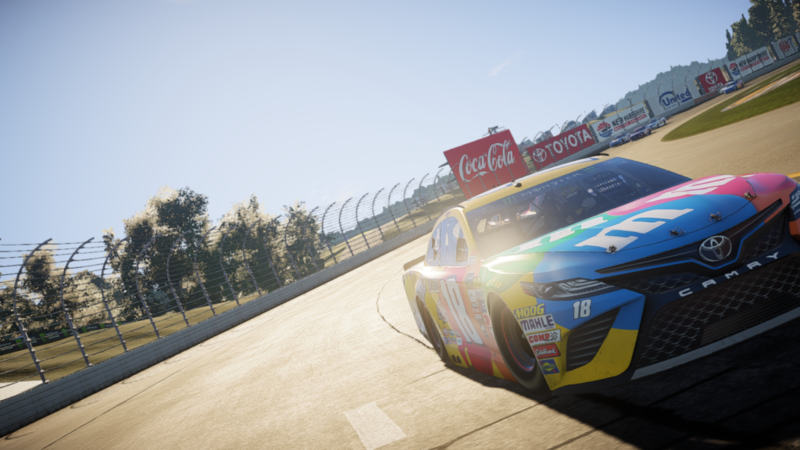 While the NASCAR license has had a long and hard road behind it in the video games industry with its highs and lows, it’s still a racing franchise that people want to play. Monster Games is the latest developer to take a shot at this property and it’s remarkably solid for a second outing. NASCAR Heat 2 is a sequel to last year’s NASCAR Heat Evolution. It builds on the groundwork laid by that game and greatly expands on it. 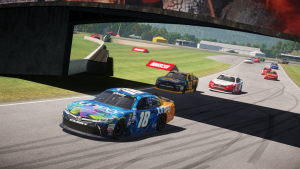 For the first time since EA’s NASCAR, we now have all three national NASCAR series represented in-game. The NASCAR Camping World Truck Series, NASCAR XFINITY Series, and the Monster Energy NASCAR Cup Series. This means you’ll not only be racing on ovals and tri-ovals, but also on road courses. The selection of game modes includes is a lengthy Career mode, Quick Race, Challenge Mode, a Championship mode, as well as local and online multiplayer. Career Mode is the most substantial mode in the game. At first you’ll start off as a Hot Seat driver in the Camping Truck Series. After a season of this you’ll be offered the opportunity to sign with a team and move onto the Xfinity Series. Do well there and you’ll move onto the Monster Energy Cup. It’s a very simple week-to-week structure. Unfortunately you’ll be seeing the same tracks over and over again, and before too long the Career feels like a grind. This is made worse by the fact you don’t have anything to spend your winnings on–no upgrades, no mansion, nothing of the sort. Money doesn’t really mean anything. Maybe the game is trying to tell us that ultimately the pursuit of wealth is meaningless, but it seems far more likely that Monster Games wanted to expand on this area and simply ran out of time. One thing that hasn’t changed much since last year are the in-game visuals. All of the cars and tracks are rendered in exquisite detail, and that is still the case for Heat 2. Visual damage, smoke, and even the rattling of the hood as you race along at speed are all nicely represented. To put it simply, the game looks really nice whether you’re racing in the day or under the lights at night. NASCAR Heat 2’s biggest improvements come through when you get onto the track. Last year’s computer AI was a bit weak and didn’t pose much of a challenge. This year though, the AI drivers are much improved. They are more assertive and will fight for position. They’ll also be more than happy to run four-wide with you if that’s what it takes. This leads to some much more exciting close-quarters racing. The driving itself isn’t too bad either. The controls are responsive, the cars feel like they have weight to them, and combined with the improved AI feels like a much tighter package. If there’s anything to complain about it’d be the Rival drivers you’ll encounter in Career mode, who don’t seem to really even acknowledge that you exist on the track. 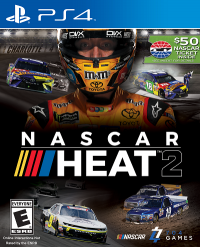 While NASCAR Heat 2 is a much improved game over Heat Evolution, it’s severely lacking in the fit and finish department. The menus are bland and often don’t fill the screen. There’s no post-race replay or any sort of TV Style presentation or commentary. About all you do get is the occasional vignette and video message from one of your peers. This would have been a bigger problem is the improvements to the core gameplay weren’t so substantial. There’s only so much time and resources available to Monster Games, and they chose to put those resources towards the things that mattered more. NASCAR Heat 2 is a game that plays really well. It captures the feel and sensation of speed of NASCAR. This is clearly where most of the effort went, and the game is in a better place for that this year. Now with the groundwork established, it’s just a matter of refining and polishing what’s there. 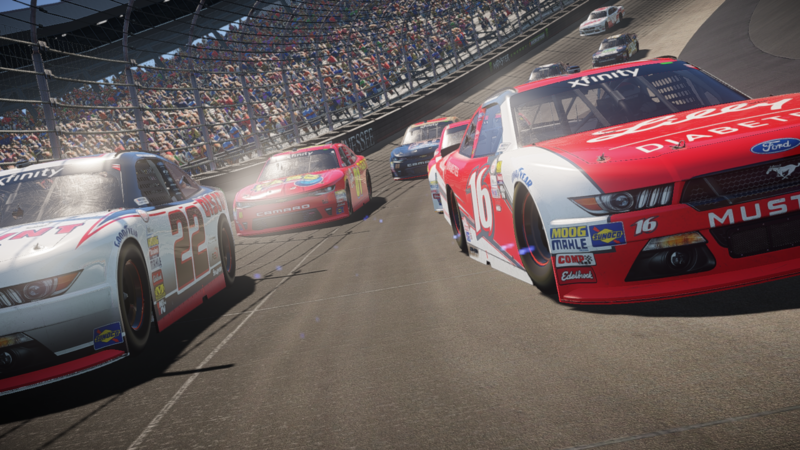 NASCAR Heat 2 isn’t a perfect game, but it really shows what a focused developer can do. A review copy of the PlayStation 4 version was provided by the publisher.